What’s in-store for this episode of the “ESTAR GUARS” nerd report: We’re joined by Esteban from COMIX podcast to talk about Warner Bros/DC Films news that makes us happy. Bolillo or tortillas? Breaking Bad is a good show but The Fly episode was garbage. Horror movie monsters fighting game? 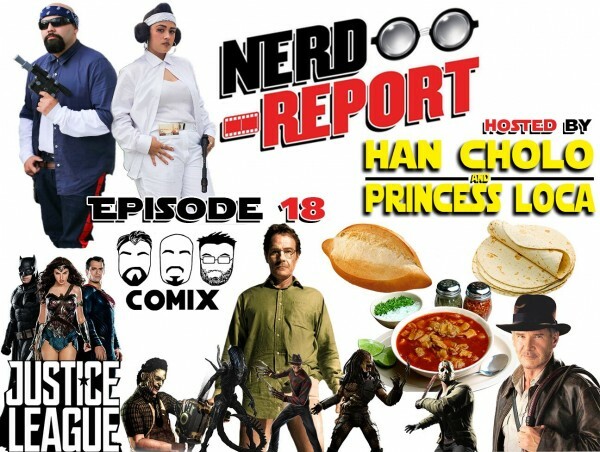 Han Cholo’s “That’s not nice” segment, and George Lucas is back!